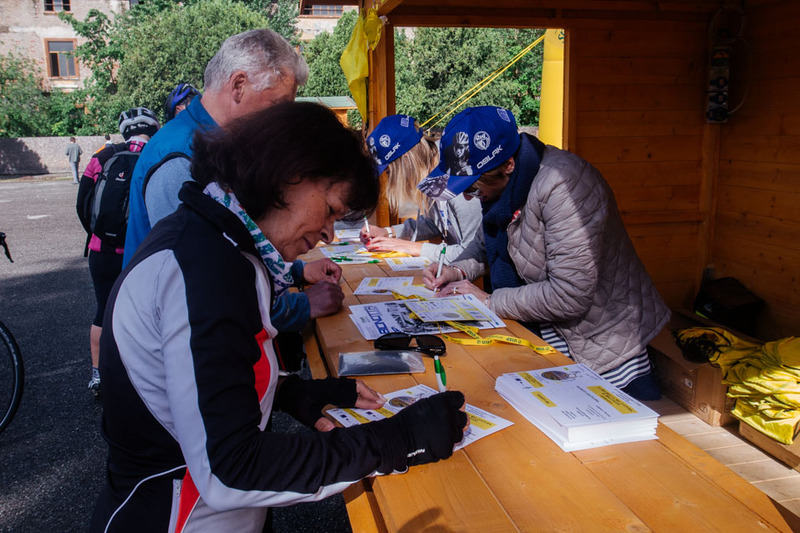 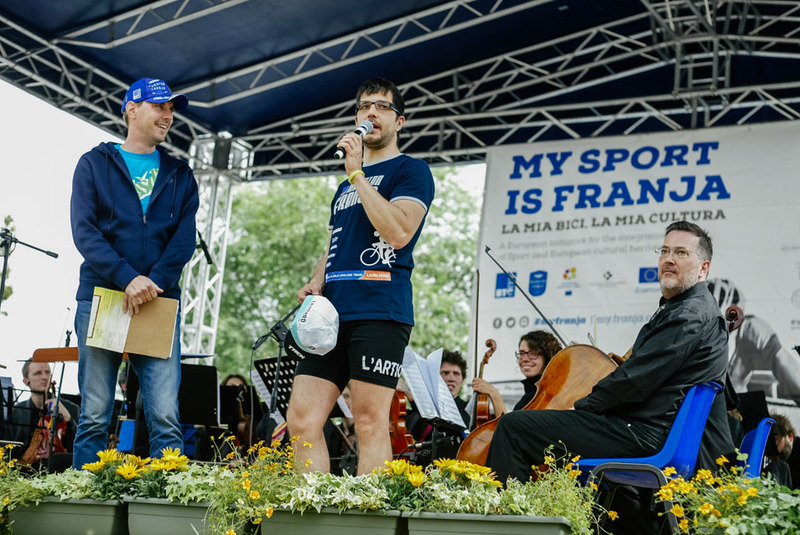 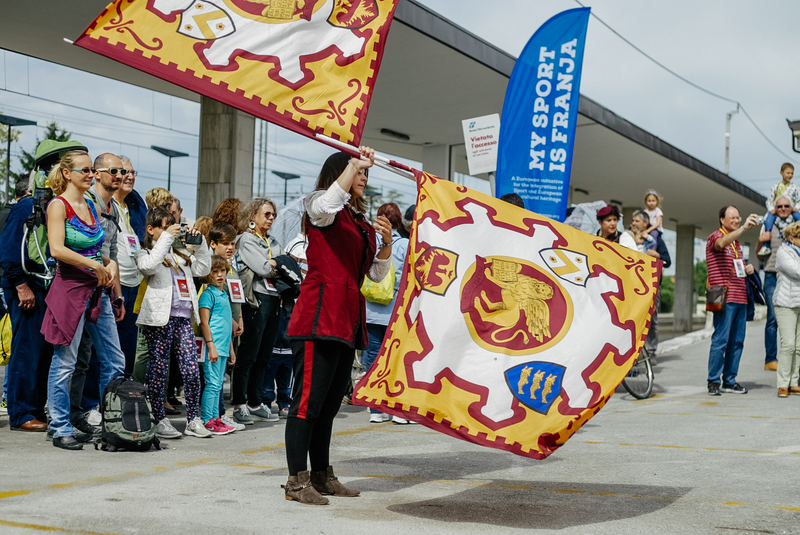 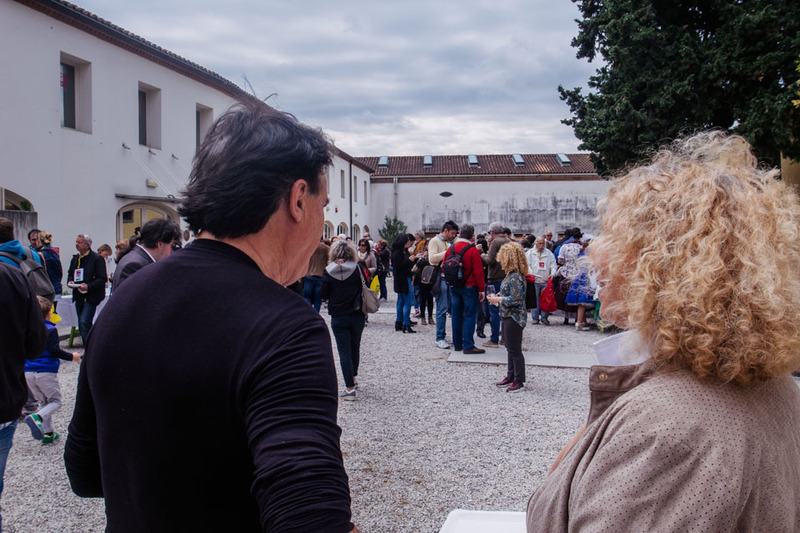 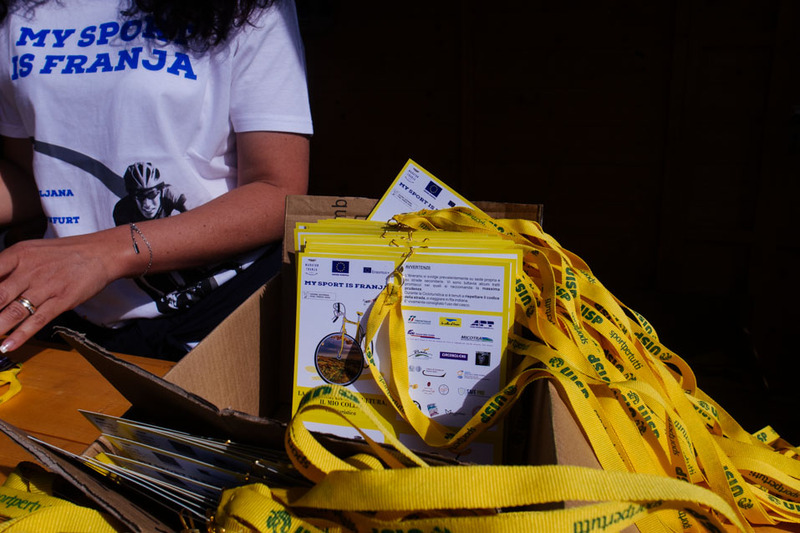 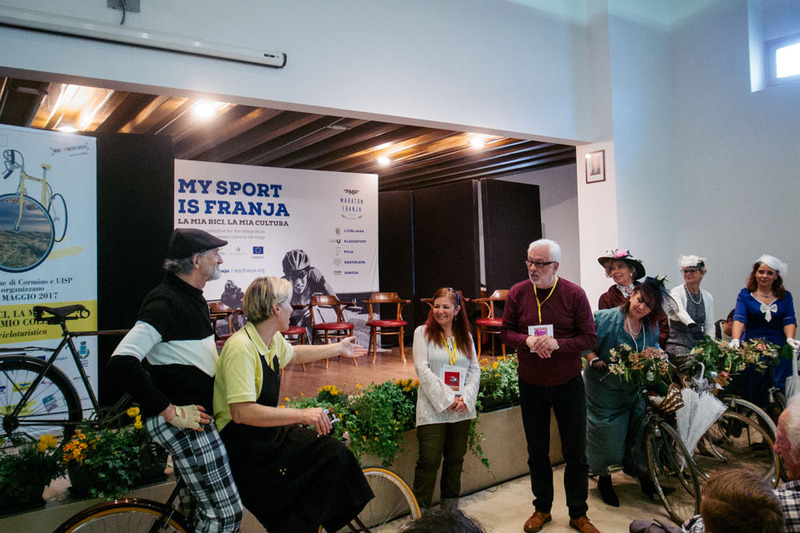 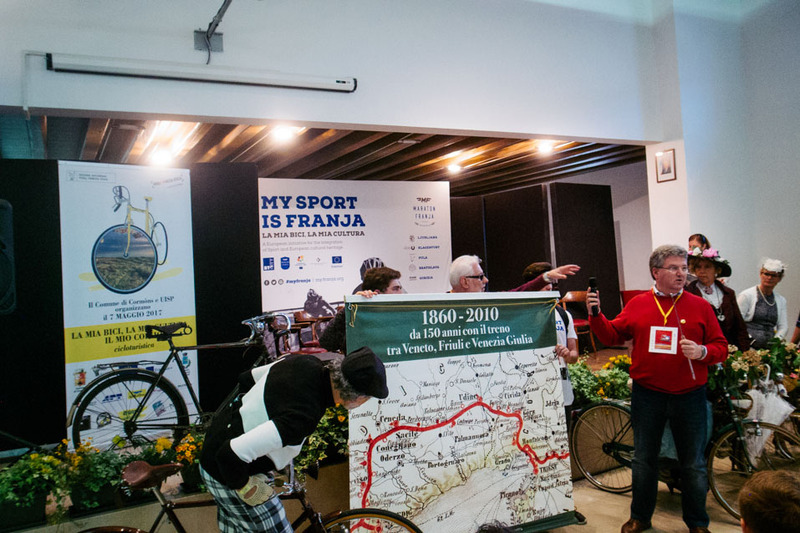 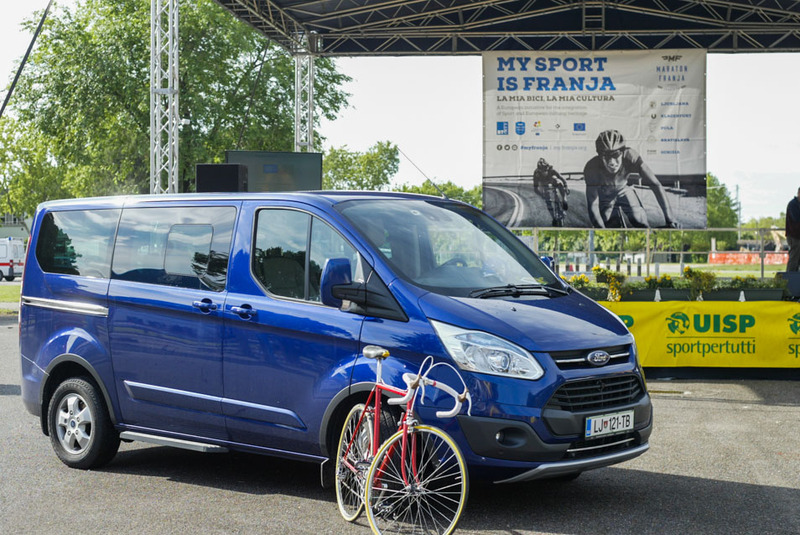 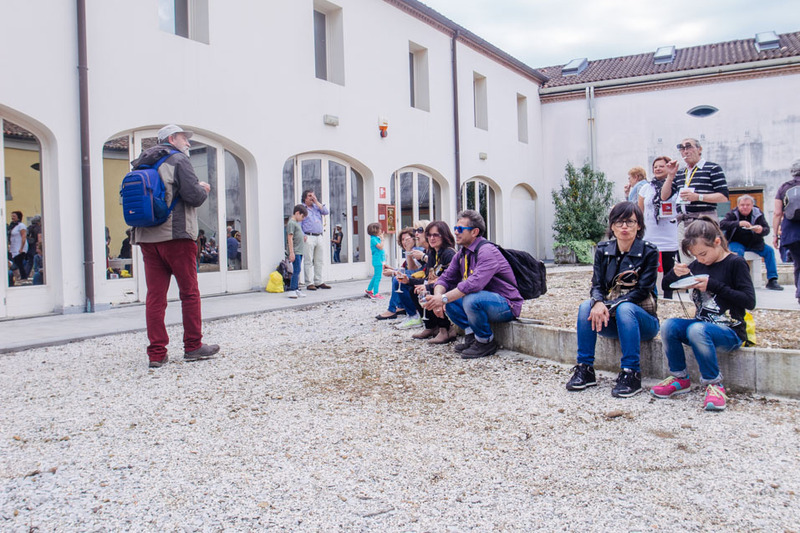 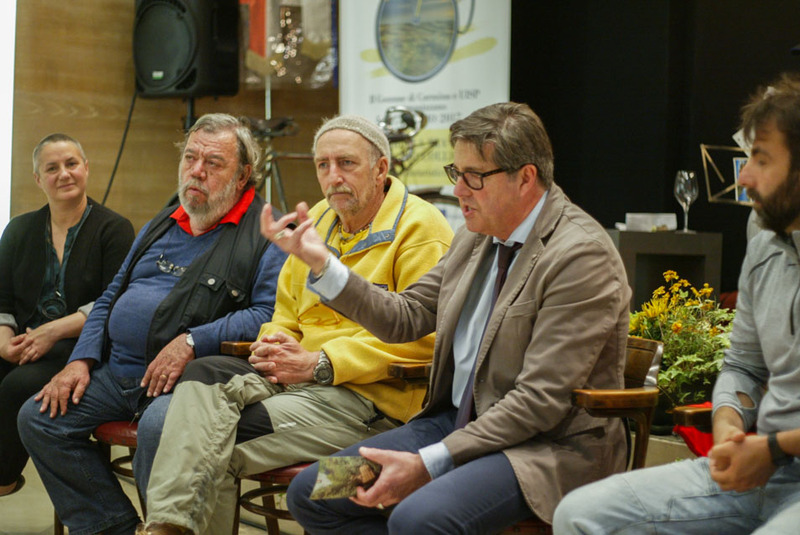 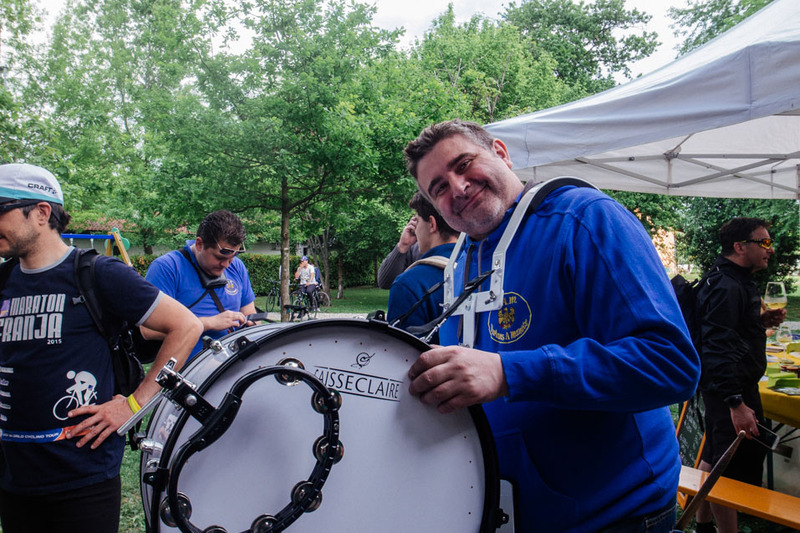 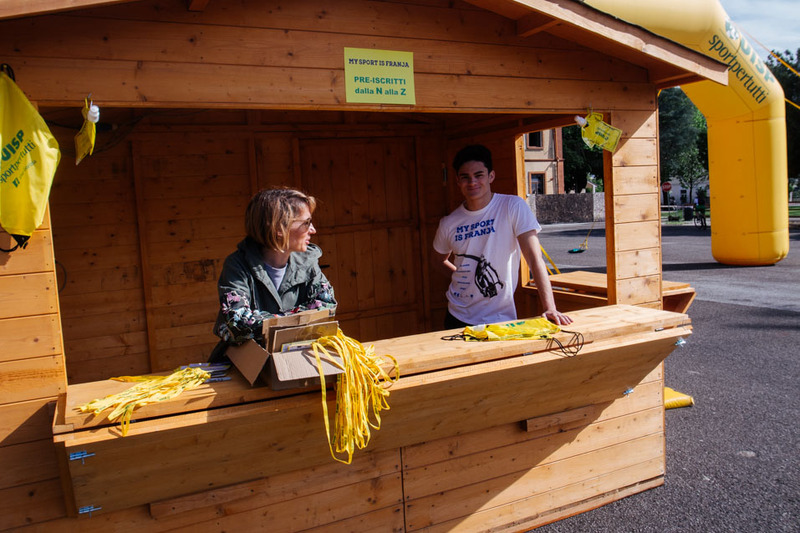 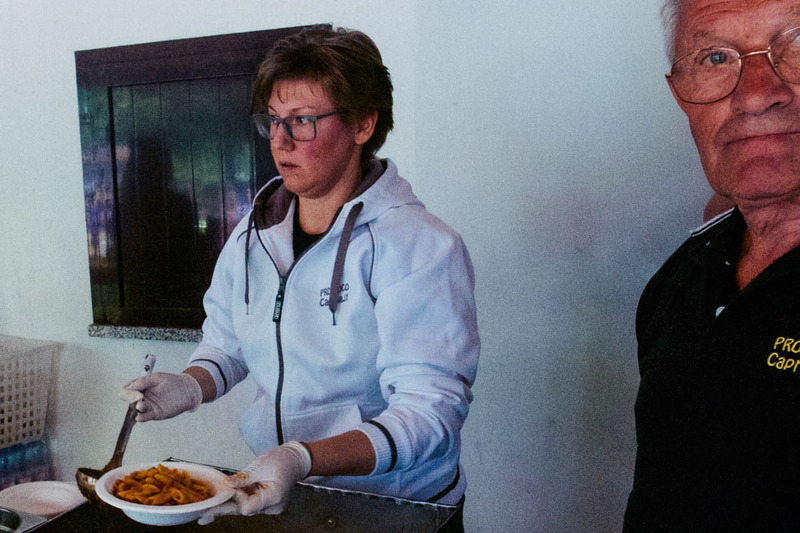 With over 200 people on Saturday and 300 on Sunday the events of the My Sport is Franja project in the Italian town of Cormons exceeded the most optimistic expectations. 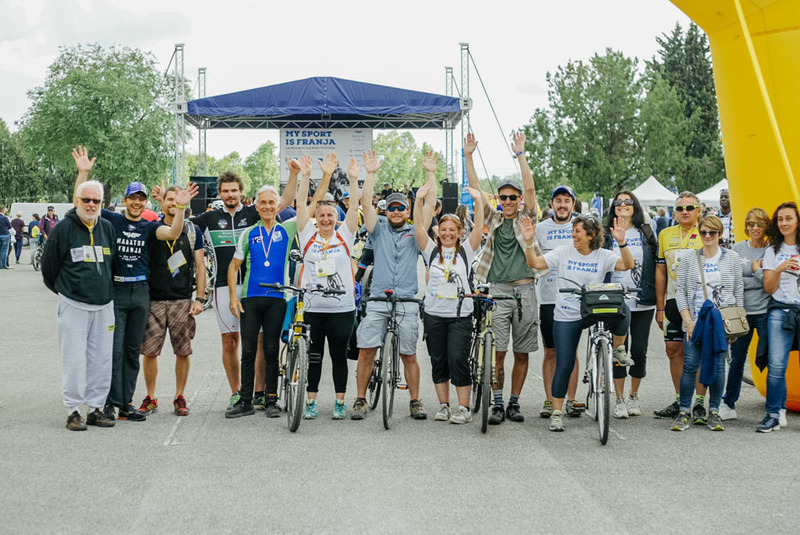 Main organizer UISP (Unione Italiana Sport per Tutti) Fruili Venezia Giulia offered two days of activities which ended with the main event; the La Mia Bici, La Mia Cultura, Il Mio Collio cultural bike ride. 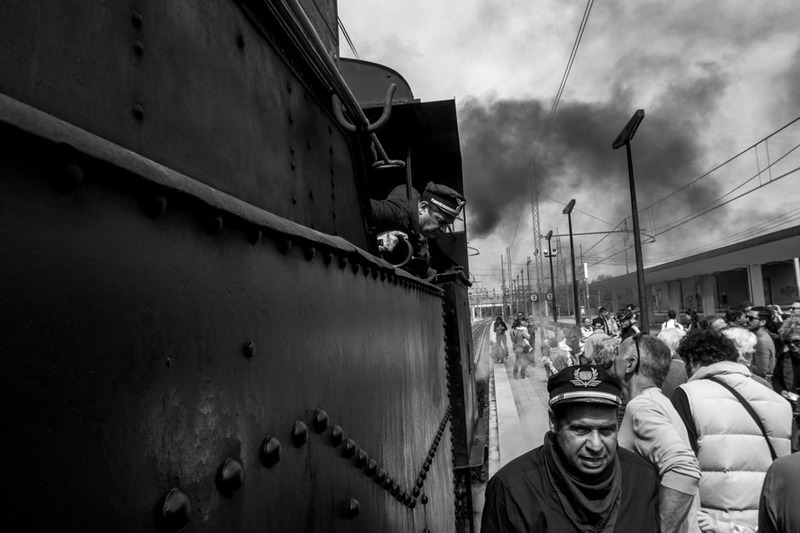 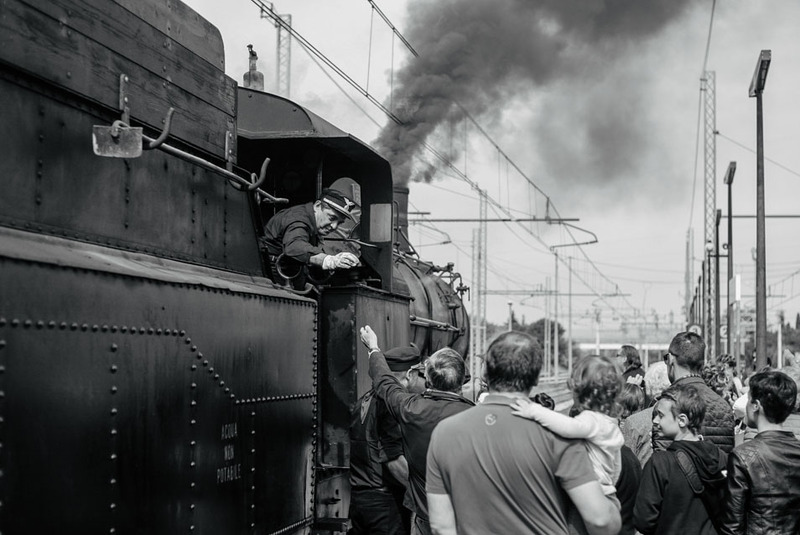 A ride by steam train, a visit to town, a reception at town hall and a lunch with local food and wine. 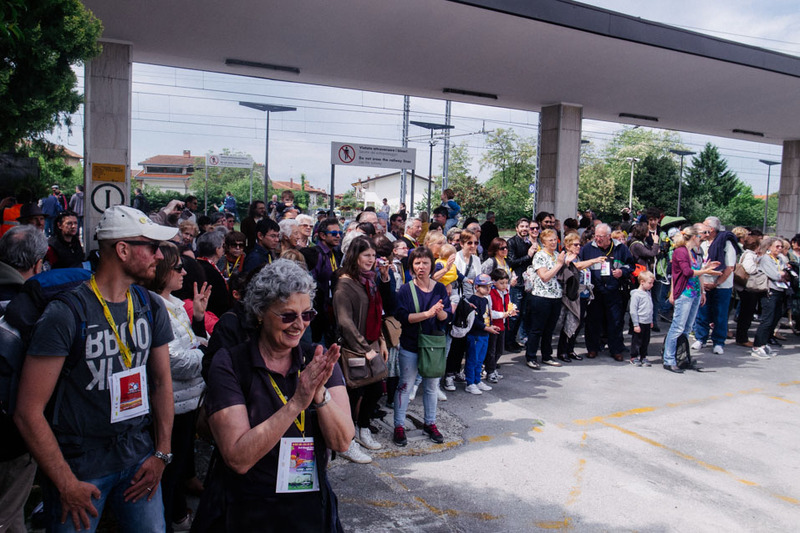 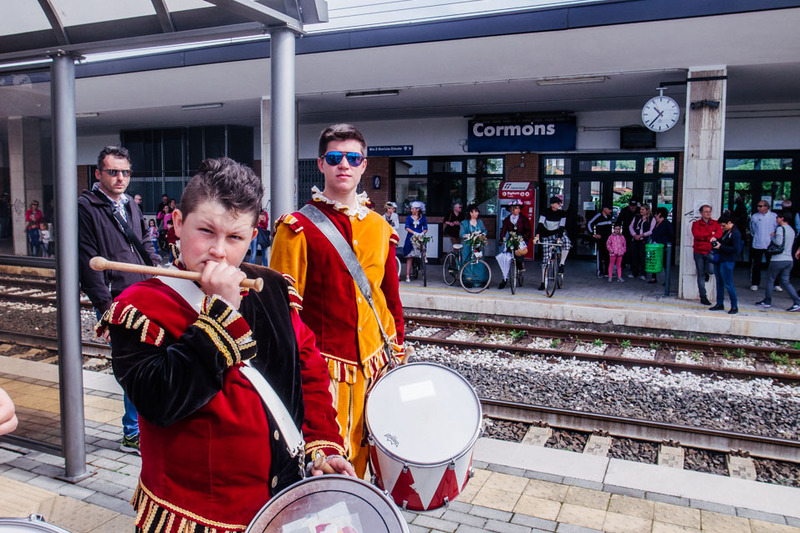 Cooperation with local municipalities, local and regional organisations and railway company Trenitalia ensured that there was a comprehensive program. 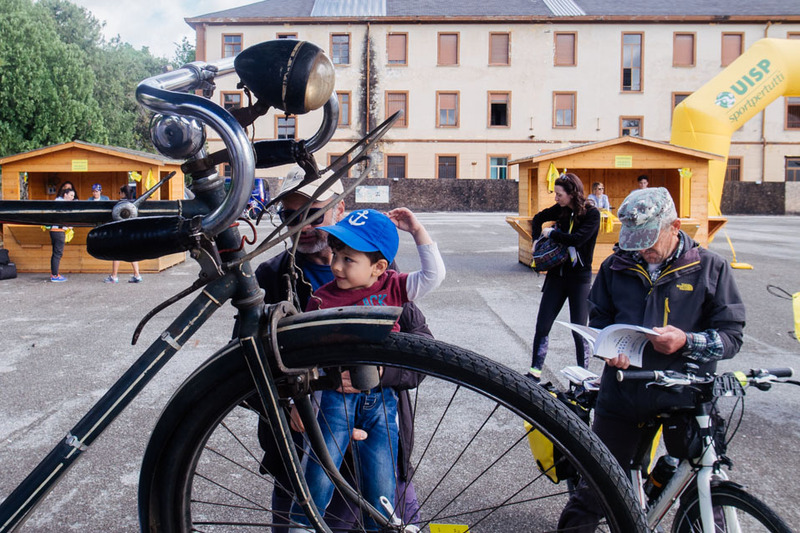 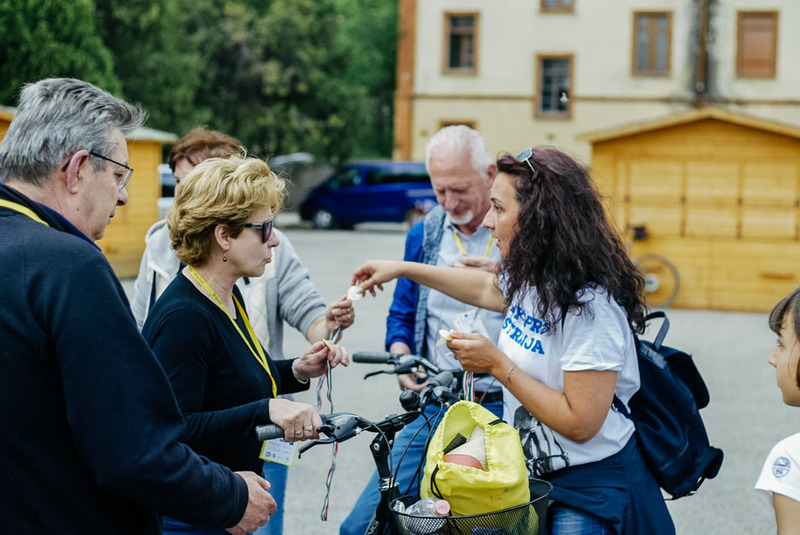 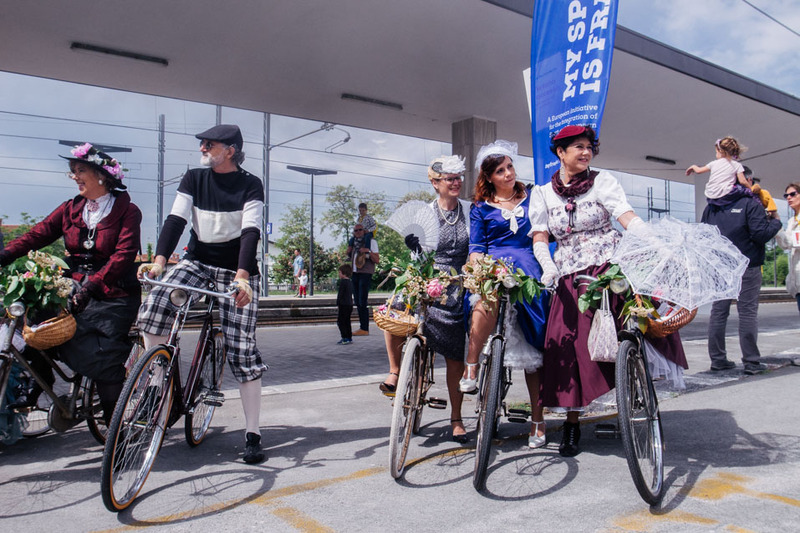 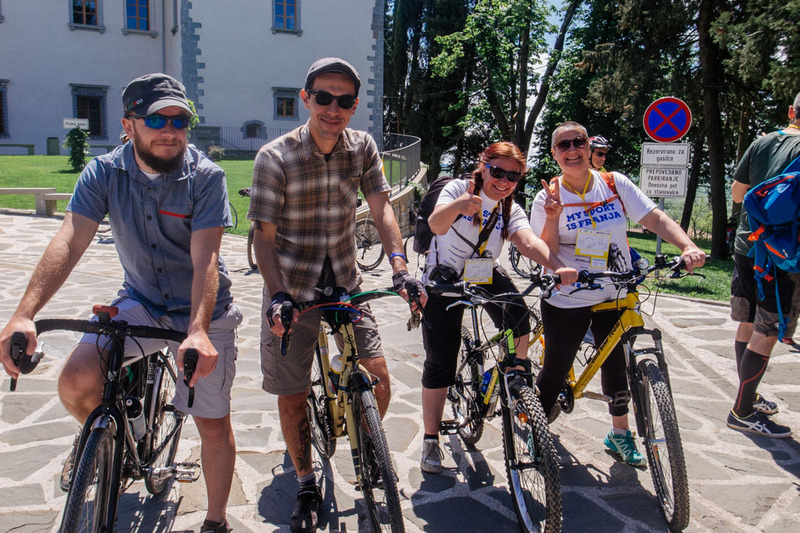 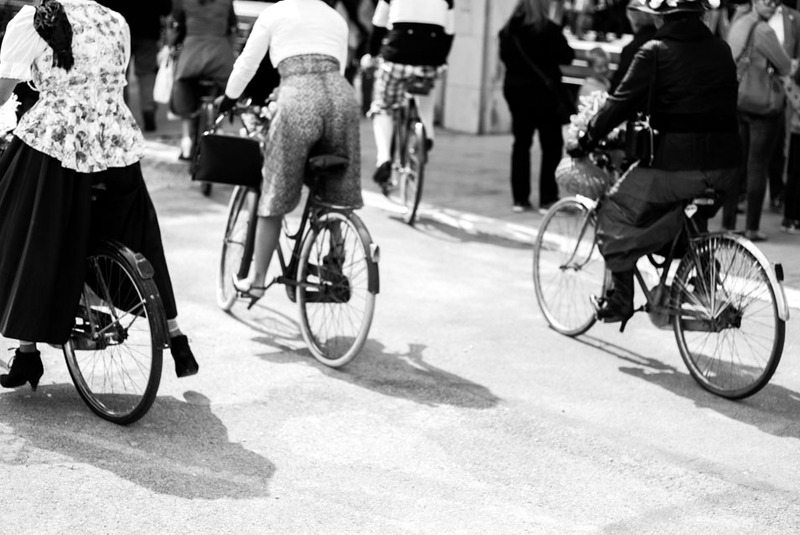 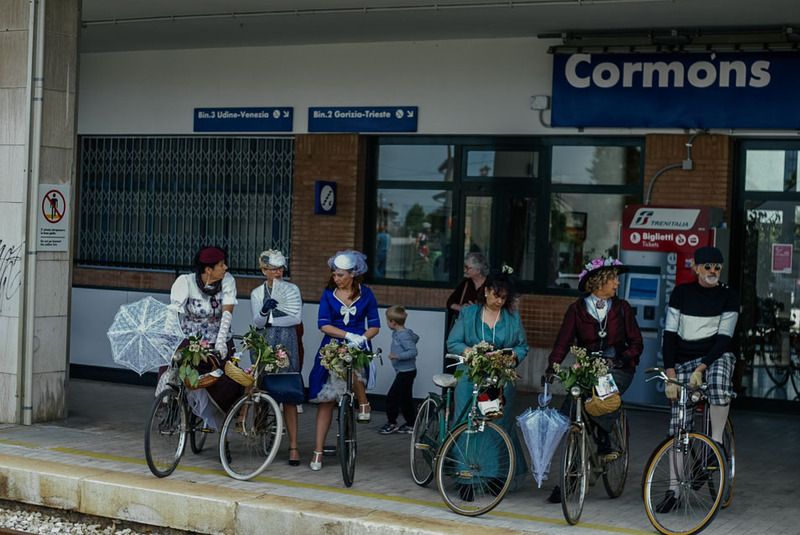 There was no bike ride on Saturday but to keep things in a cycling spirit, vintage bicyclists of vintage cycling club K2 from Udine awaited the steam train and joined its passengers into town and the town hall. 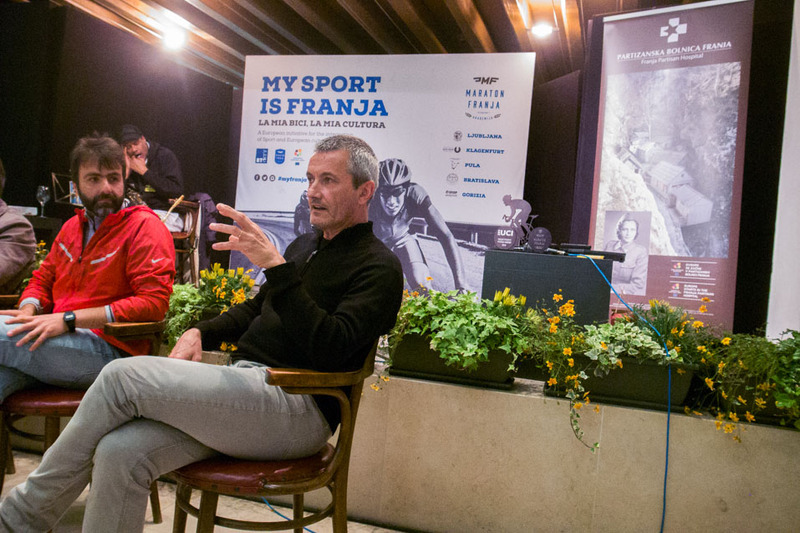 UISP had even brought a sport legend to Cormons for the event. 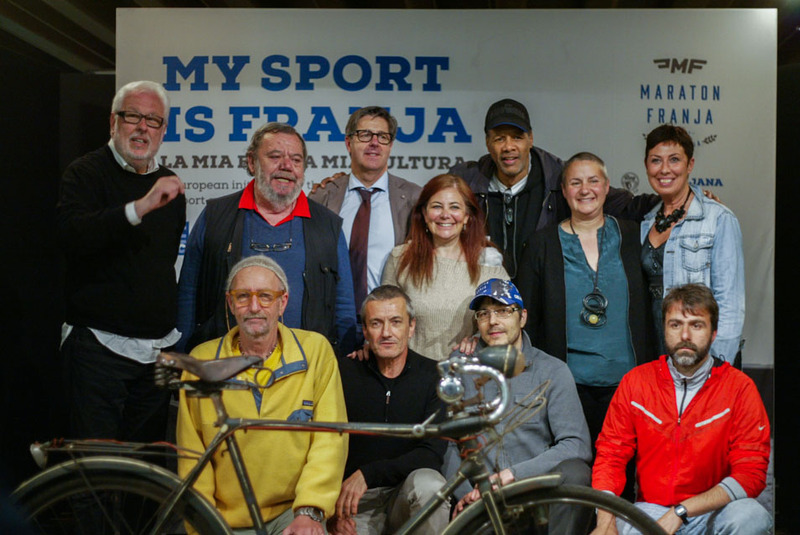 But it wasn’t a cyclist and he also wasn’t there to do sports. 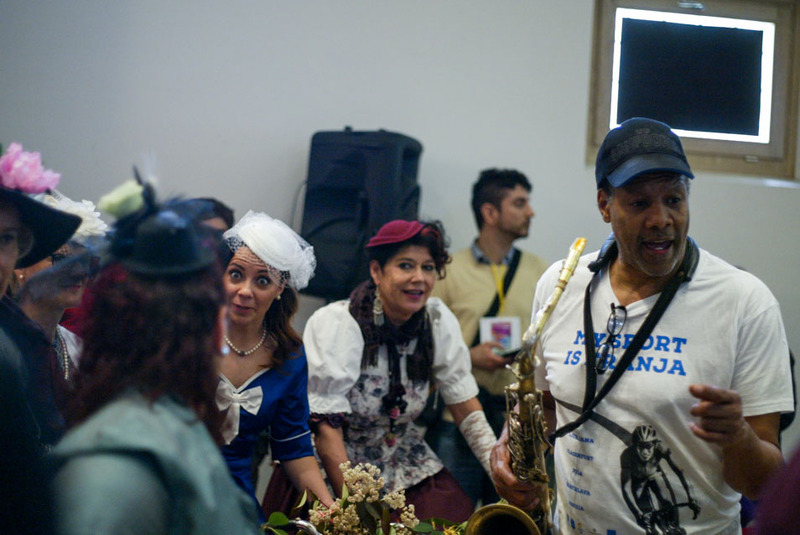 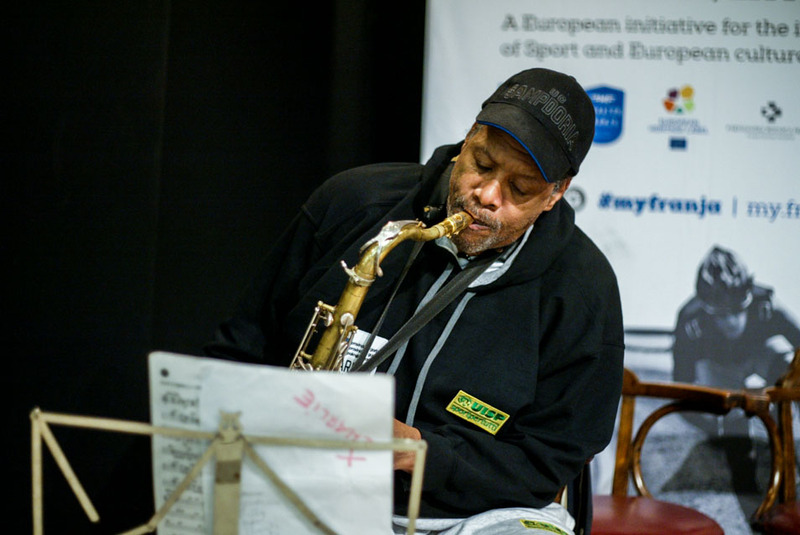 Charlie Yelverton, a legendary basketball player from the USA, who has been living in Italy for decades, played the saxophone at the event. 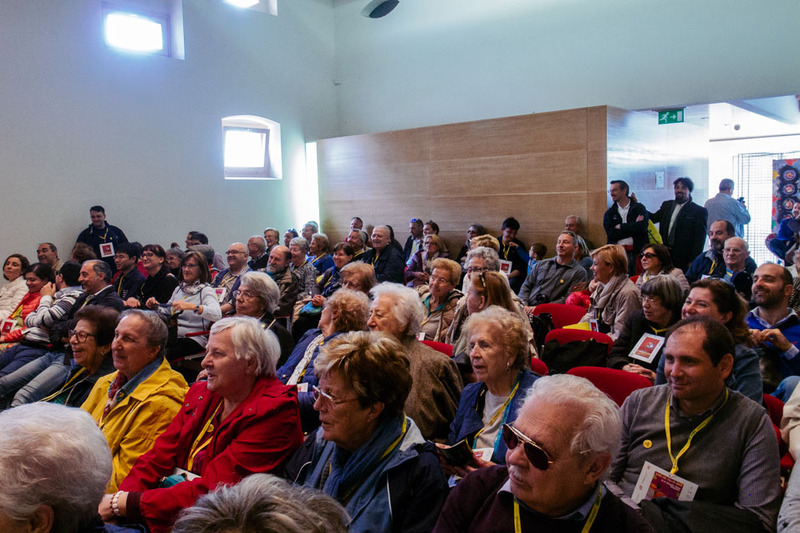 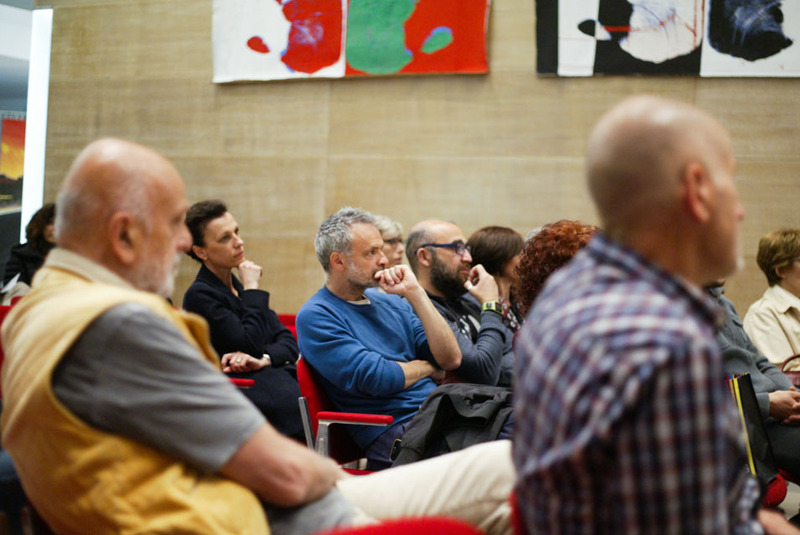 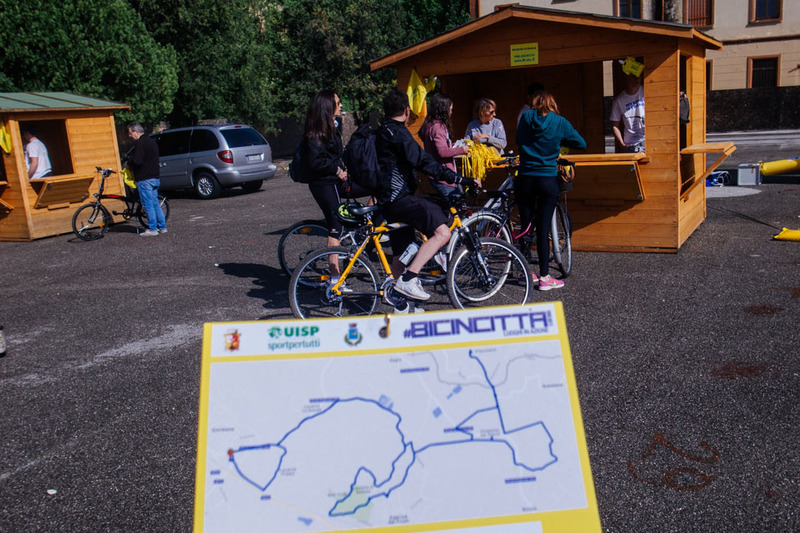 Before the evening discussion, ‘Gol a grappoli sale in bici’ about cycling and Collio, tourism councilor Elena Gasparin presented the plan to get the Collio/Brda region on the UNESCO World Heritage list. 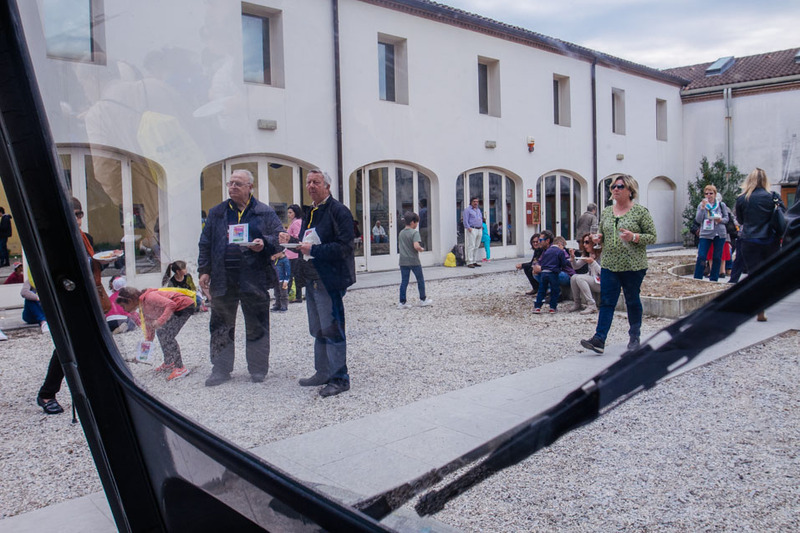 The region believes Collio/Brda deserves a spot on the list because of the uniqueness of its landscape, its history, its people, its gastronomy. 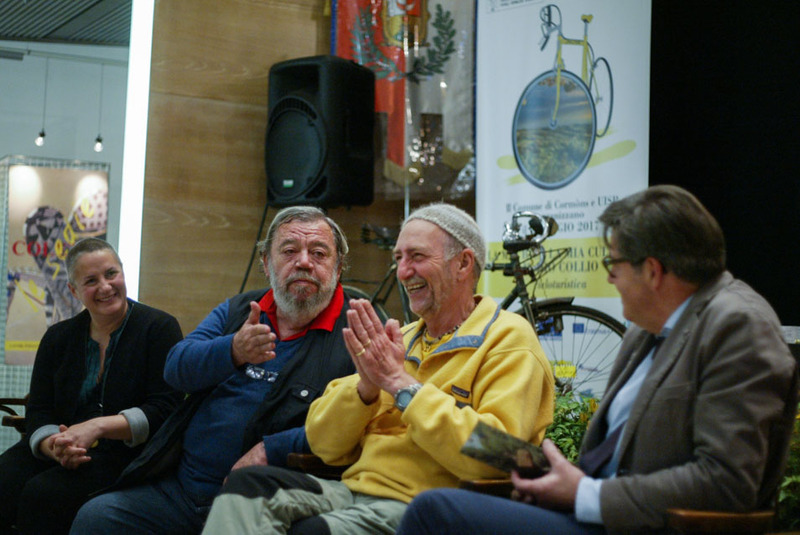 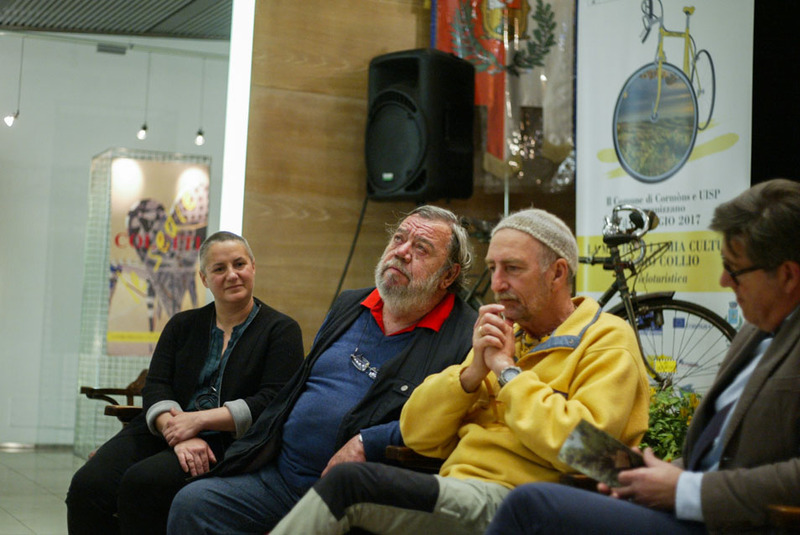 Other guests were Elena Debetto of UISP Fruili Venezia Giulia, director Maurizio Ionico of railway FUC, writer and bicyclist Emilio Rigatti, regional coordinator Federico Zadnich of bicyclists organisation Fiab and the head of the regional health organisation Paolo Pischiutti. 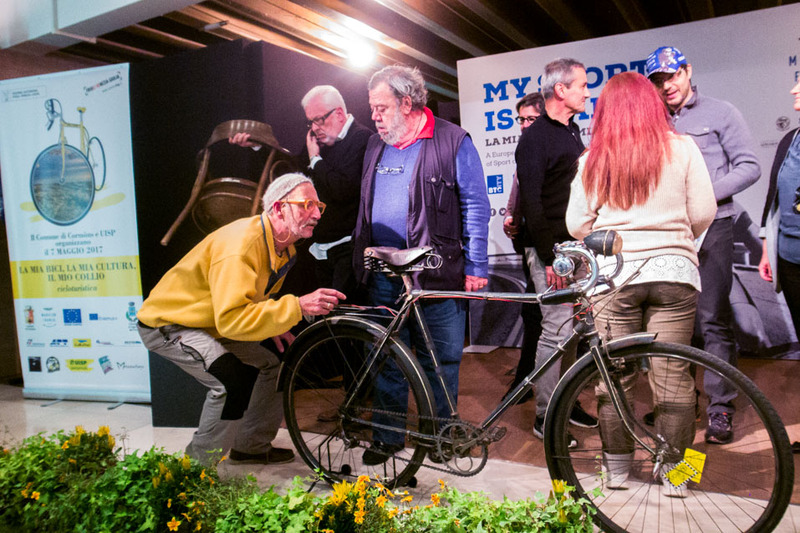 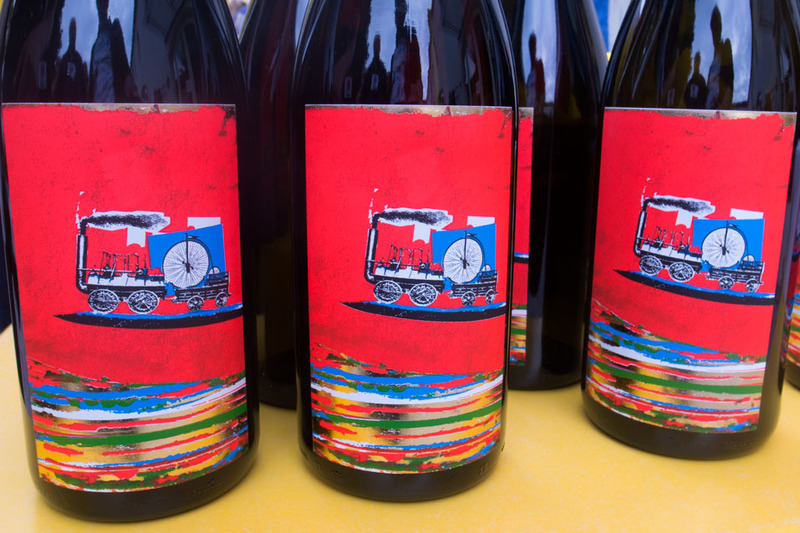 La Mia Bici, La Mia Cultura, Il Mia Collio. 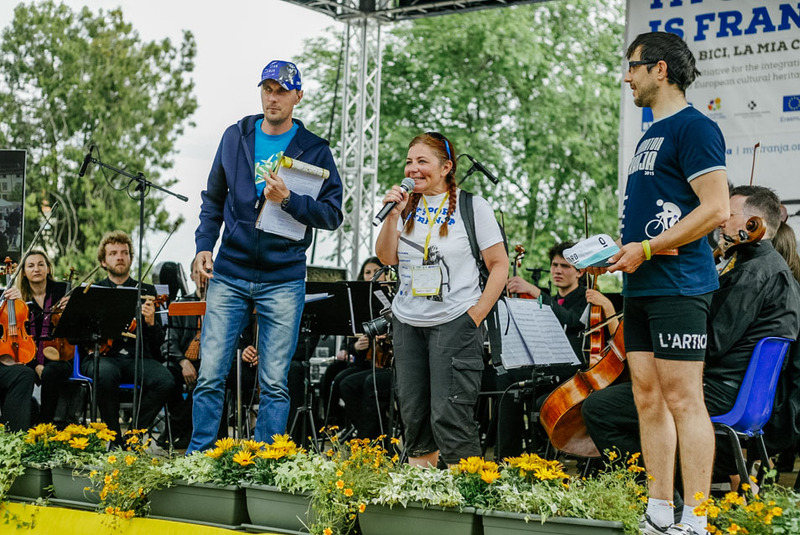 That was the event what it was all about. 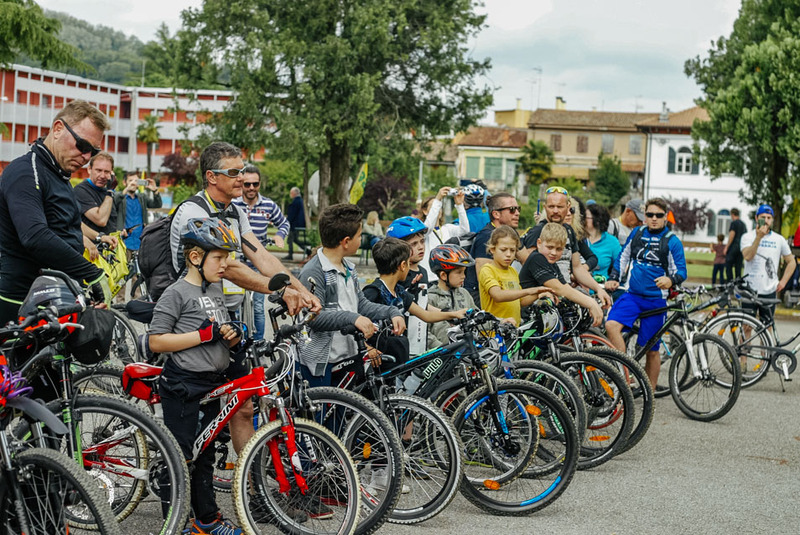 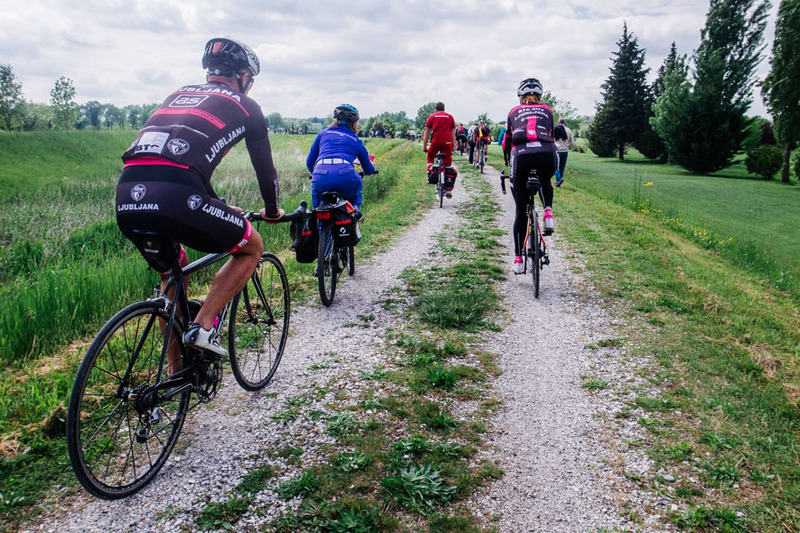 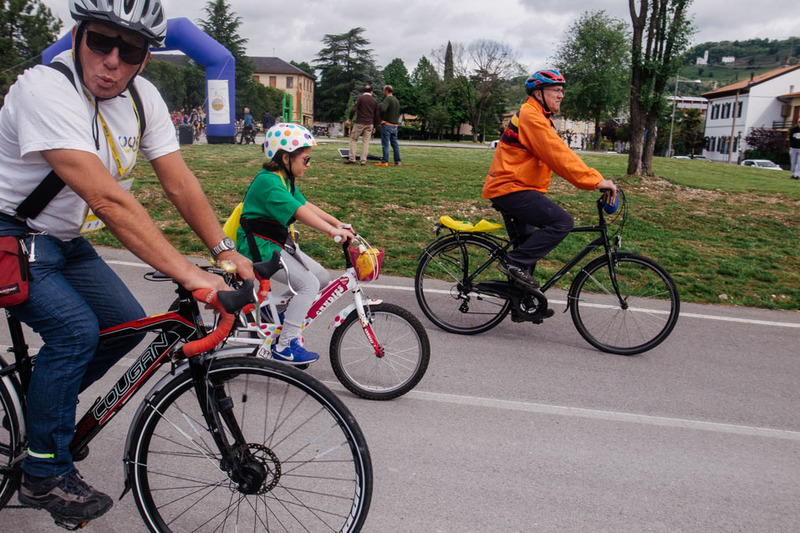 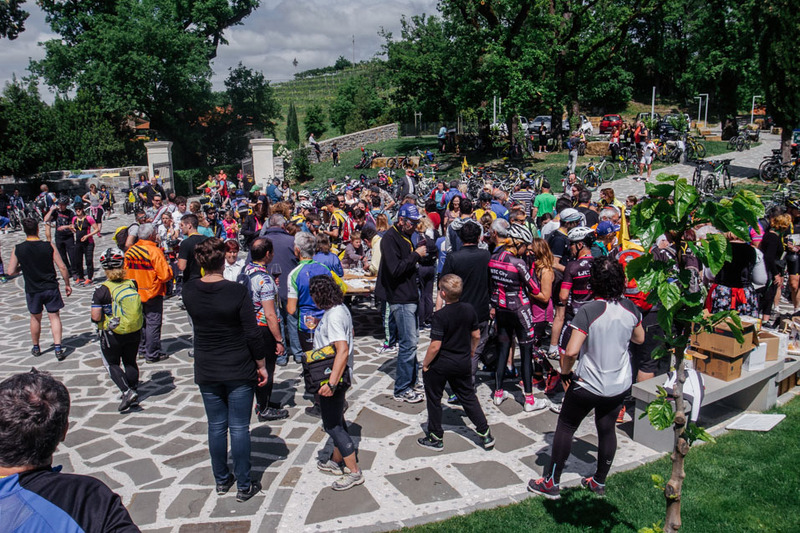 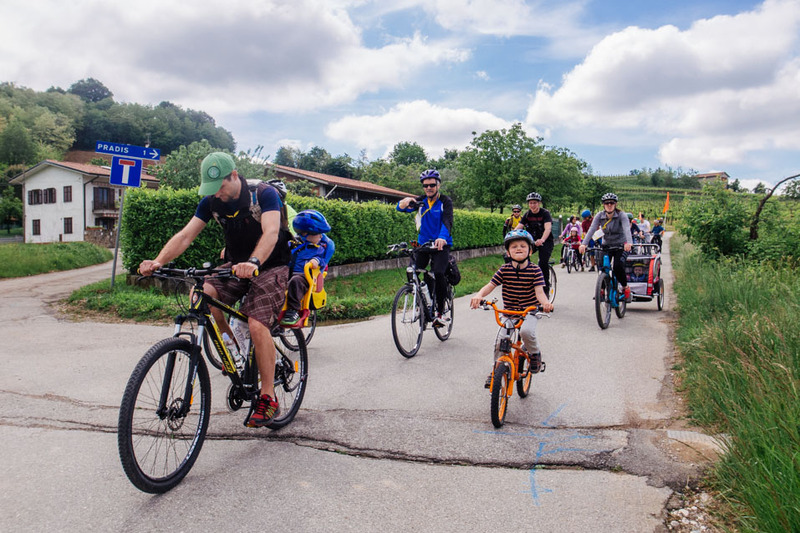 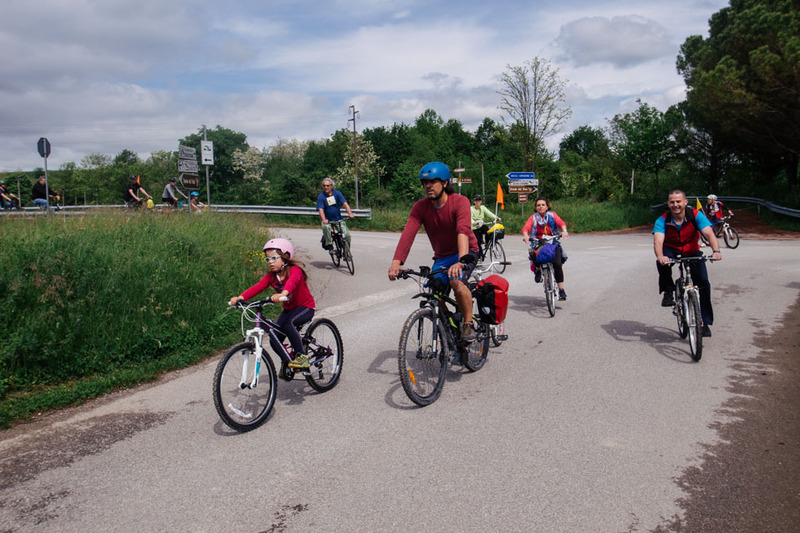 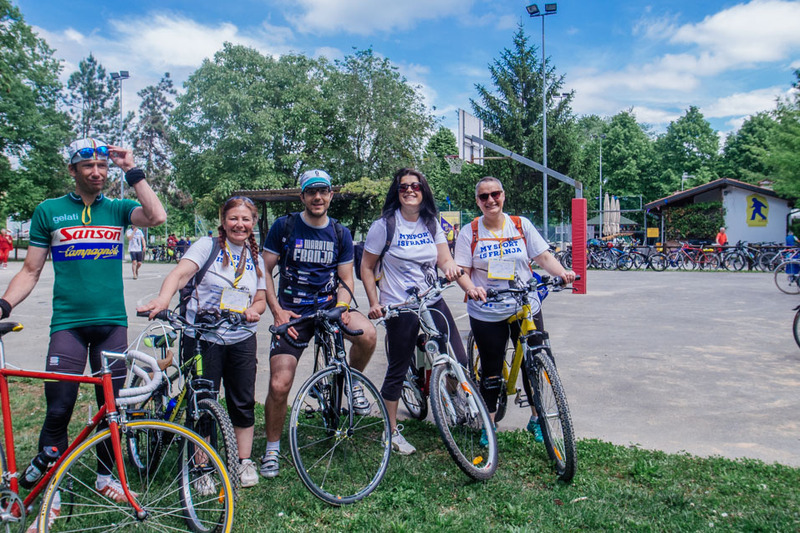 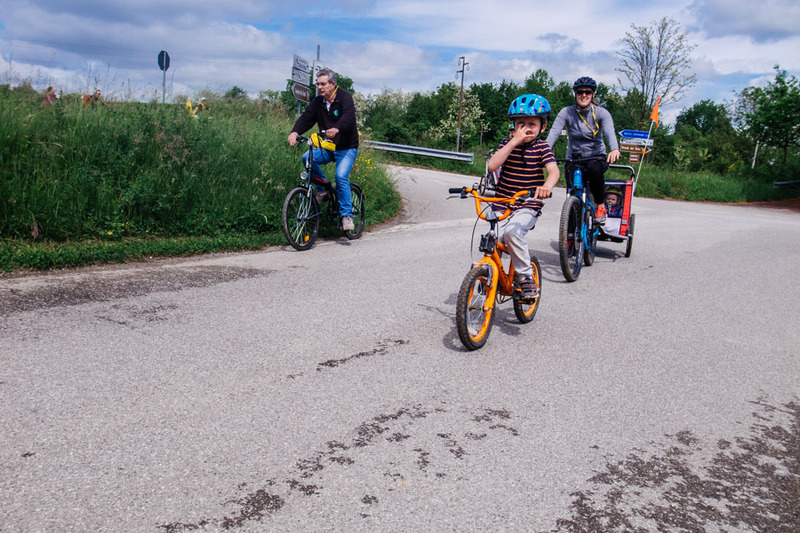 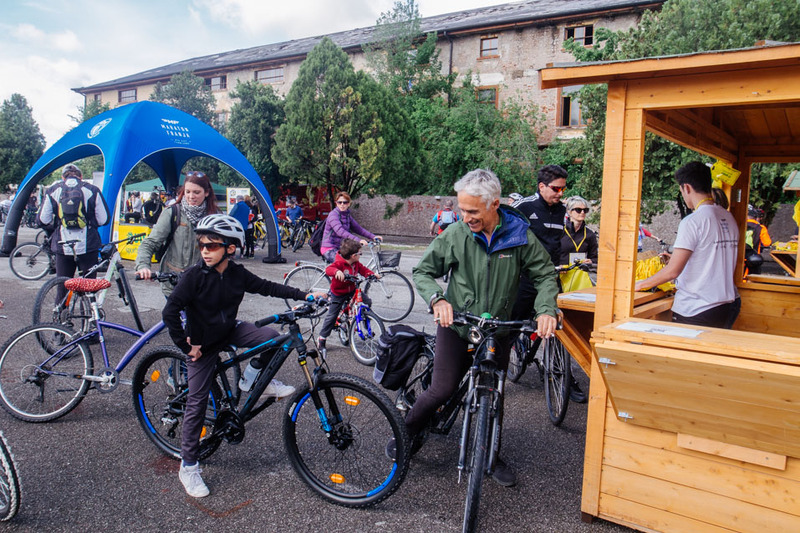 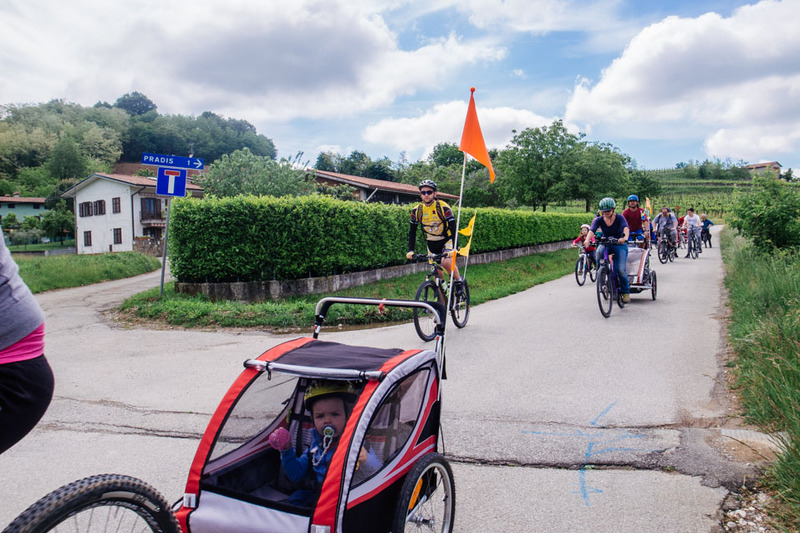 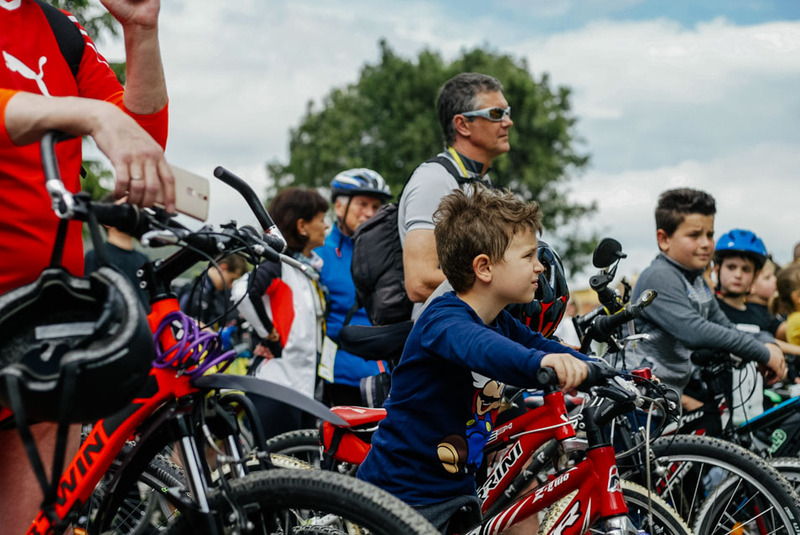 On Sunday 300 people started in Cormons for a 28 kilometre long bike ride through the Collio/Brda region. 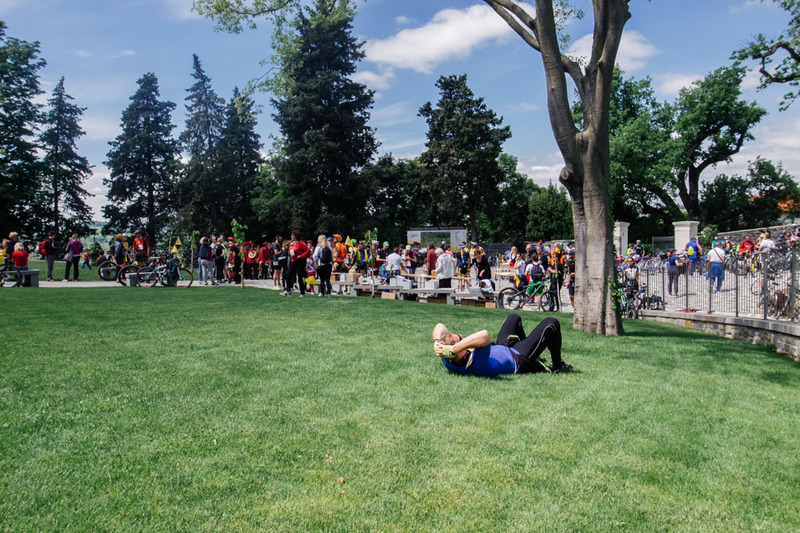 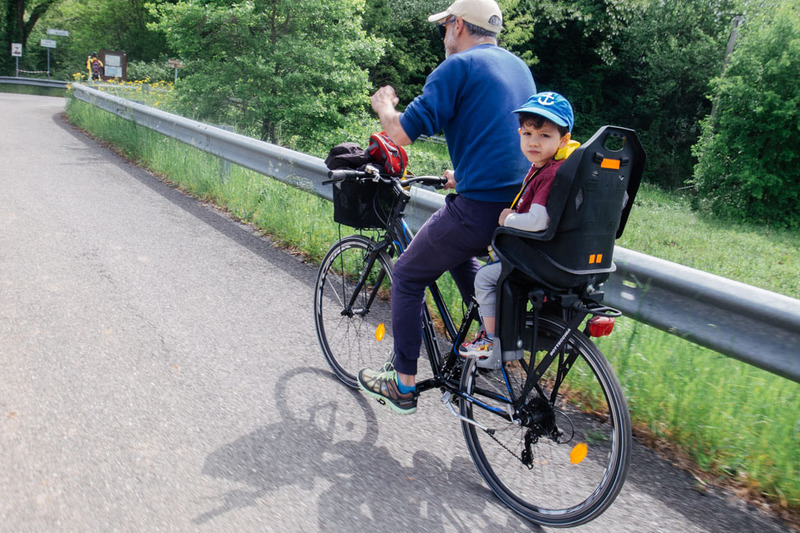 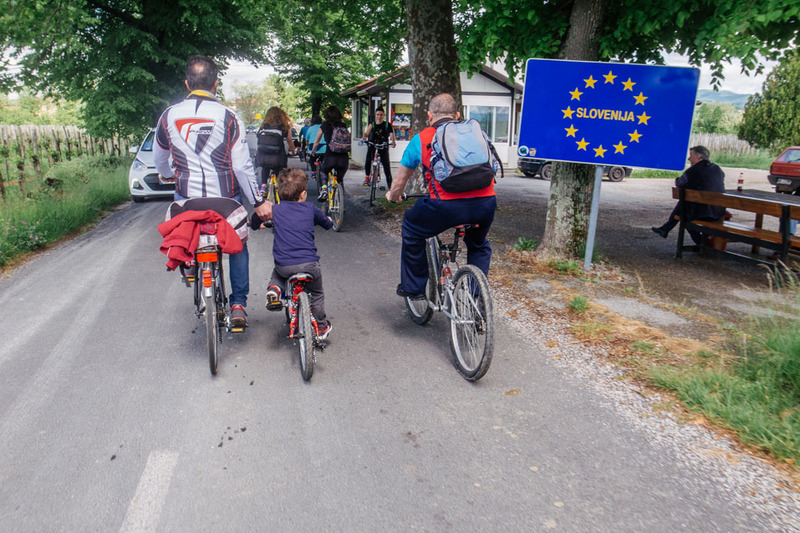 The bike tour was intended for young and old. 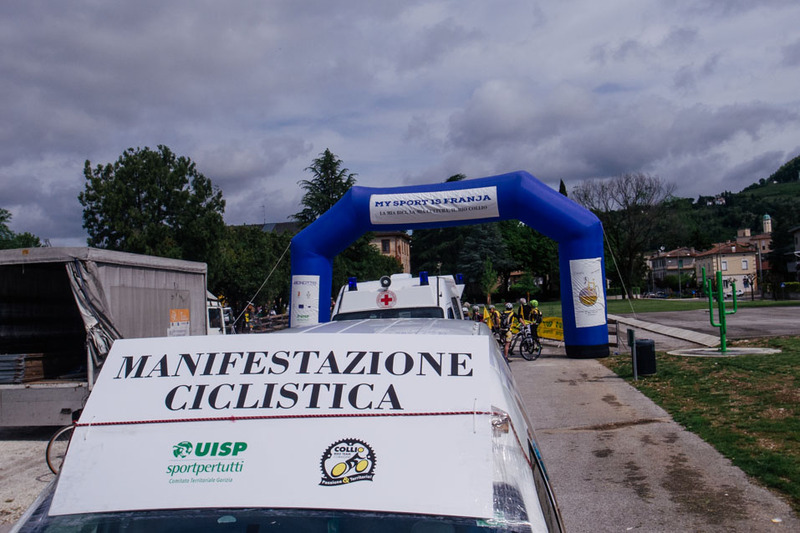 Maurizio Moschion of the Collio Bike Team managed to design a route without steep and/or long climbs. 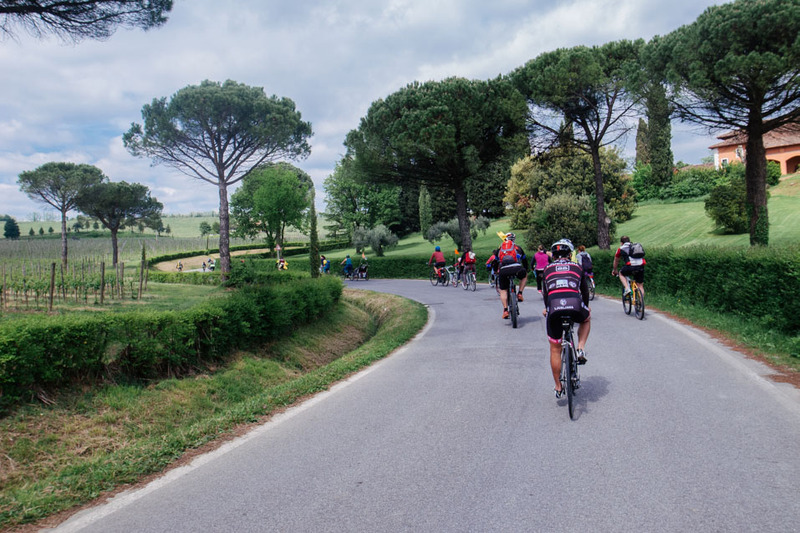 And that is not an easy task considering that the name of the region means hills. 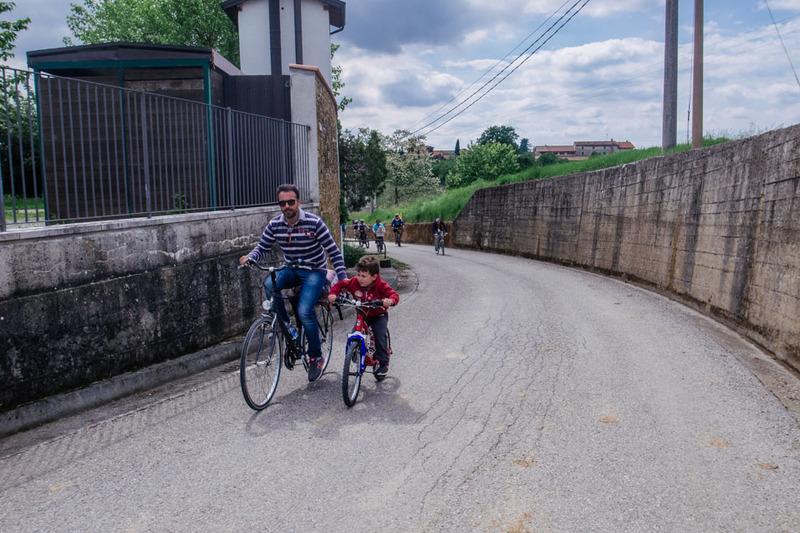 Collio/Brda is a region of vineyards and hills and winding roads along which the cypress trees gently swing in whichever direction the wind pushes them. 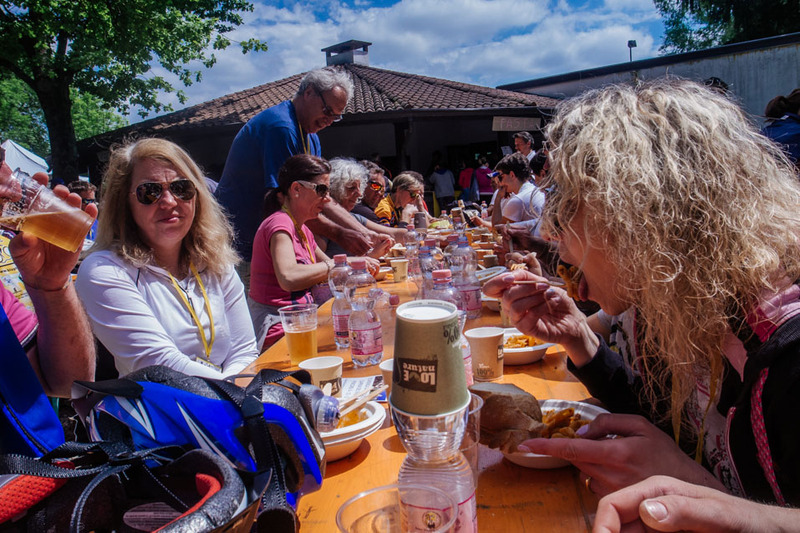 There were two cultural stops during the bike trip. 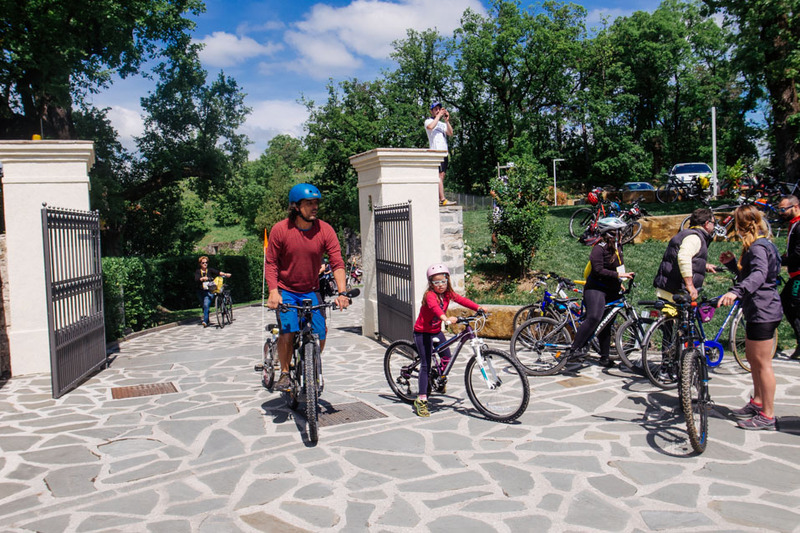 The first was at the recently renovated Villa Vipolze in Slovenia. 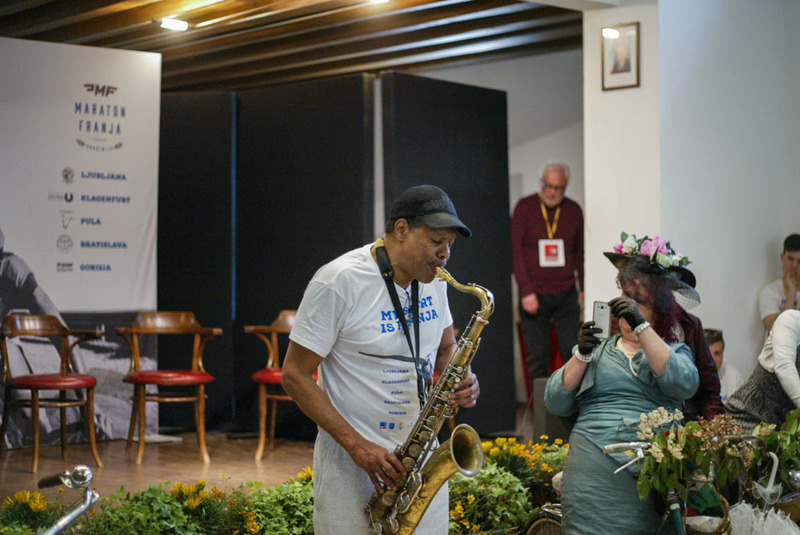 The participants were welcomed with music from a music band and later a poem of local poet Alojz Gradnik was read. 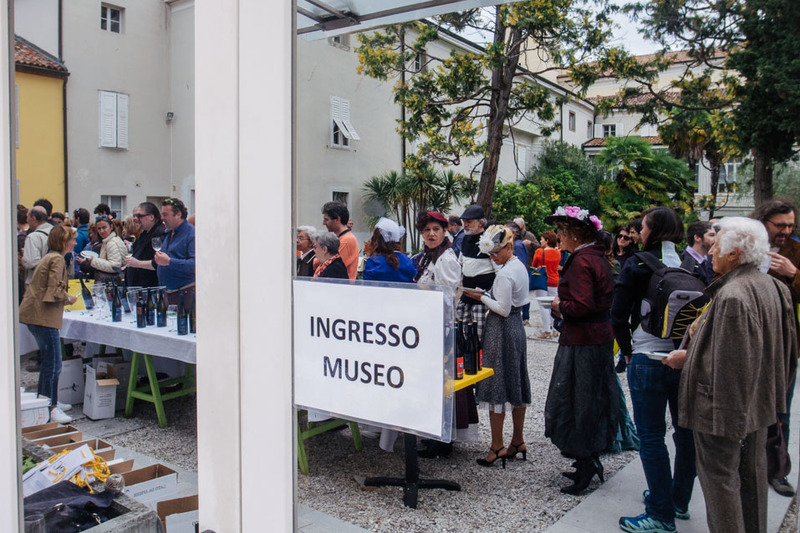 Participants could also go inside for a visit. 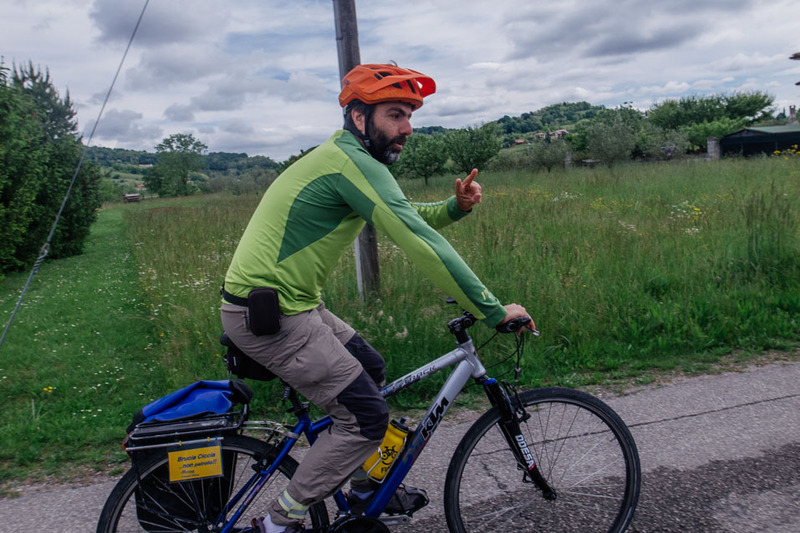 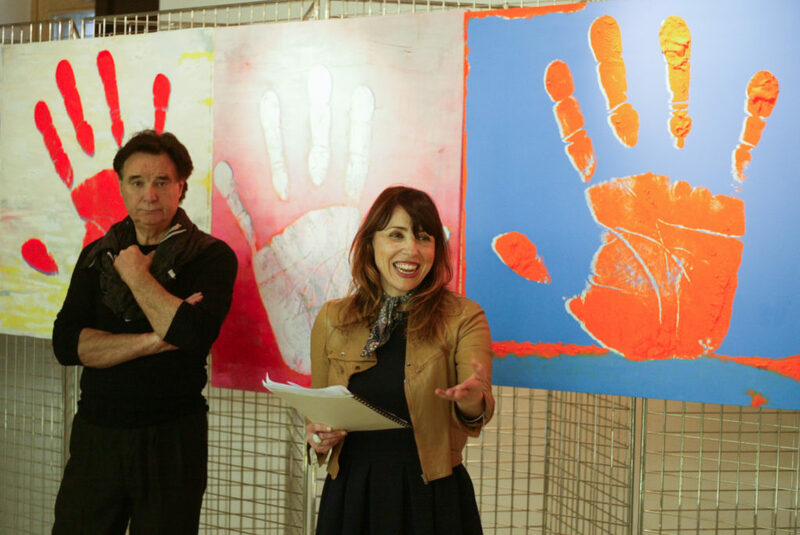 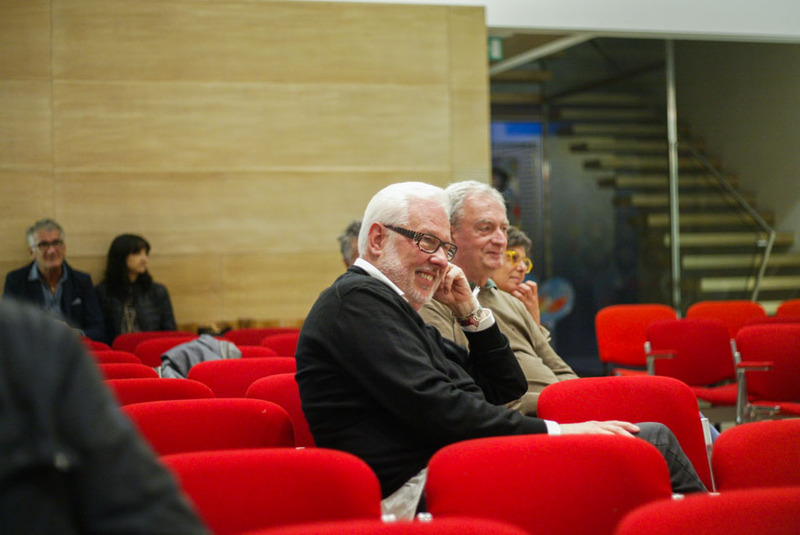 The main organizer of the tour of UISP, under the leadership of Mario Graziutti. 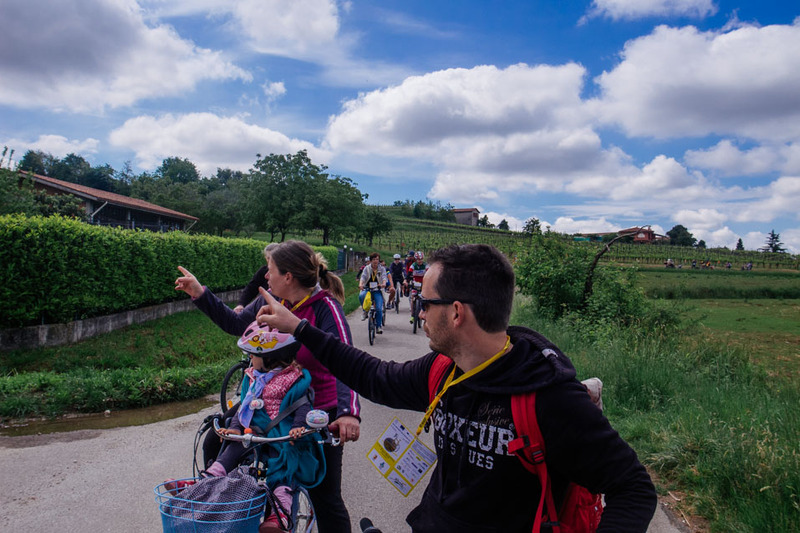 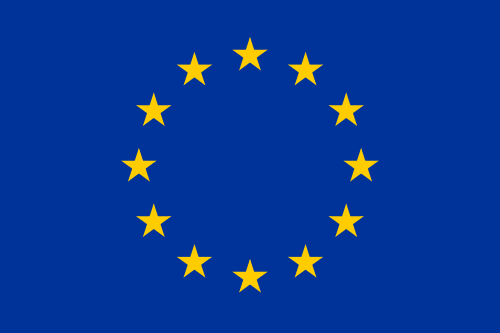 But the cities of Cormons and Capriva were also actively involved in establishing the tour. 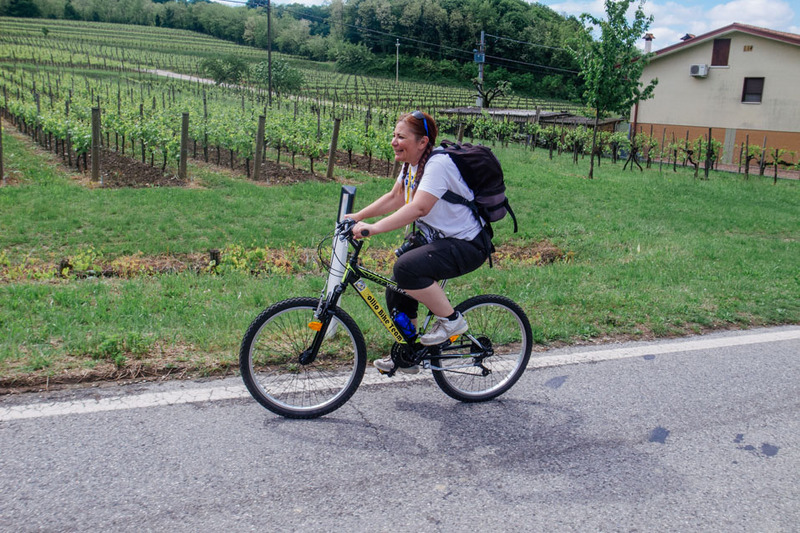 This made it possible to have a lunch stop in Capriva del Fruili. 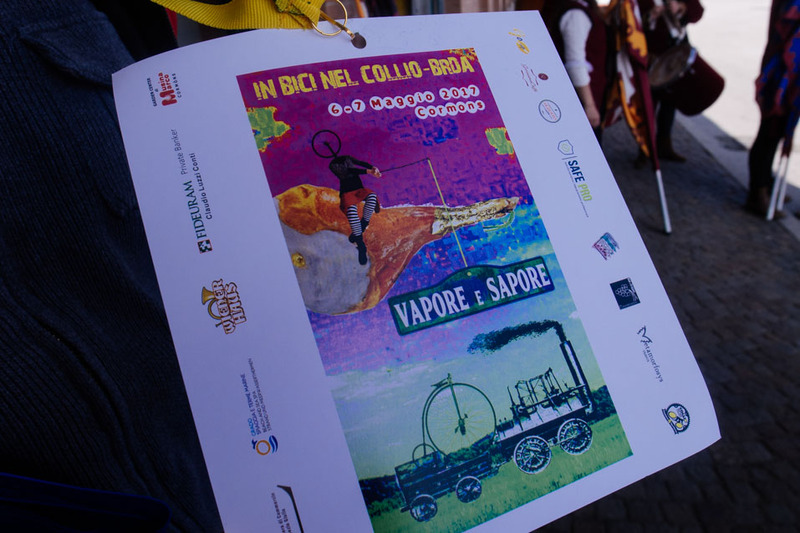 The day ended with a classical concert of Orchestra Fil(m)armonica di Mossa. 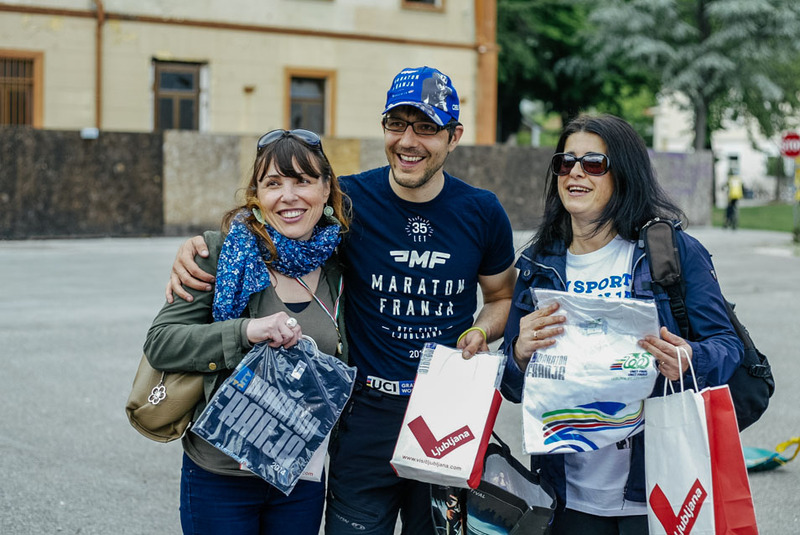 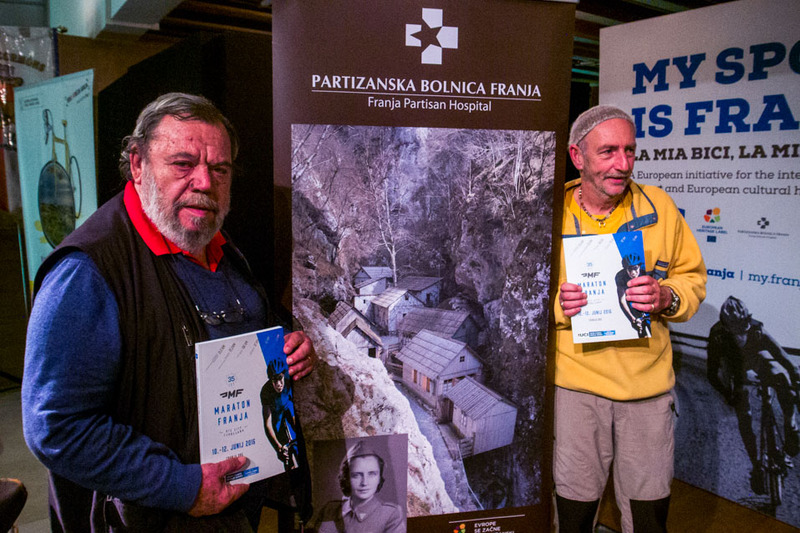 But not before all participants were also invited for the 36th Maraton Franja BTC City.